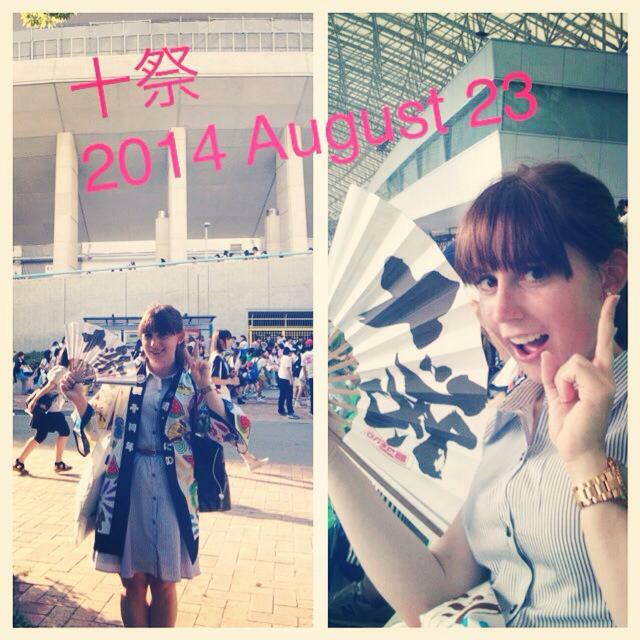 I think this post was helpful for people going to a Johnny’s concert for the first time. I sometimes think about what to wear 2 weeks before the event. I think it also helps to check out concert DVDs and such to kind of get an idea of what fans ususally wear to the concerts. I think for Eito you can seriously go all way out and do whatever you like because after all it is Eito! I realized that I tend to just dress in my usual clothes. An outfit that I like and feel comfortable with. Most of my clothes are greyish, black, white just simple colored so dressing up in the member colors would be kind of hard for me but I found my own way to still show off my fave member – I add accessories in my fave member’s color. For Eito I wore a black bow and black bracelets (although my outfit already was basically black anyway haha) and for Johnny’s West I tend to go with dresses to which I can add a red belt and then also tie my hair up and add a red bow as Shigeoka is my fave member. I think adding accessories in your fave member’s color is a great way to show that you have a fave member but you didn’t come only for that one member but for the whole group. But again tastes differ and everyone should just go with whatever they like and feel comfortable with because only in that way one is able to enjoy the concert! Thanks so much for the great comment! It’s so true that first and foremost you need to be comfortable in what you wear. If you don’t feel comfortable you can’t enjoy the concert, which is the most important part! Wow this is very insightful! Thanks for sharing. Sadly I have no picture of my outfit for the 3 TM concerts I went. But it’s always take me a while to decide what to wear. I always want to look at my best lol. 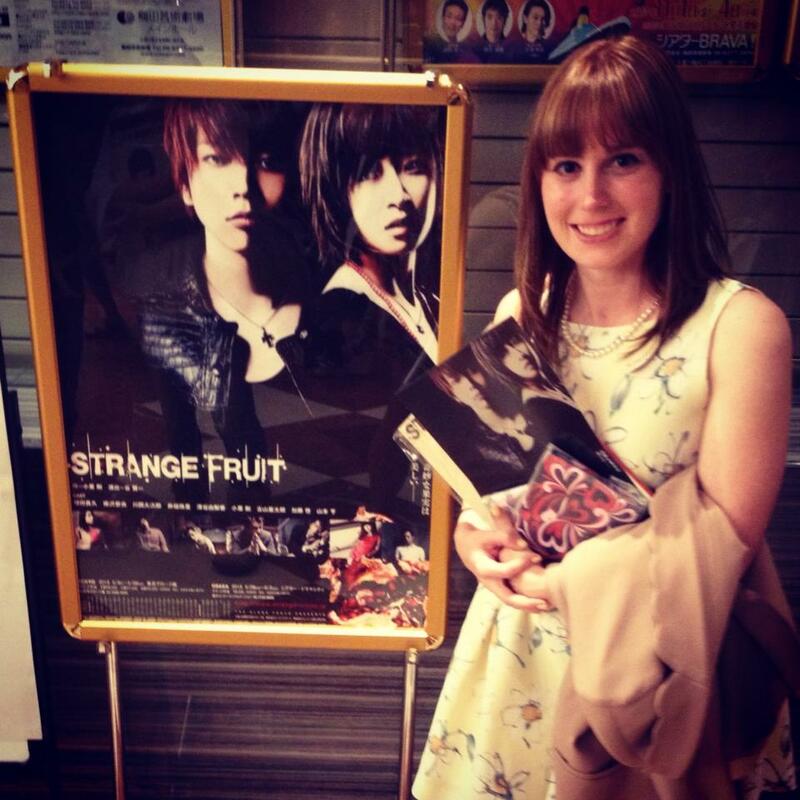 In 2011 Sapporo concert I wore a black dress, but with a really bright orange jacket on it. I also had a yellow bow hair band and 3\4 lined blue socks. That was my style at that moment XD lol. I regret the blue sock now. I didnt know my seats before arriving in the venue …but whatever I wore I wanted to be visible. This tour I wore for the first show a daisy blakc and white dress with green pants and second day (arena day) yellow dress with black leggins. With my red hair I think it was quite visible. So I think that most of the time I go for dresses and colored clothes. Trying to wear my fav member color. Next tour I think it will mostly depend of where my seats are. For the nearer seats I will wear yellow my yellow dress …for farer maybe just confortable but cool looking clothes. I will see when the time will come ….but I know I will think about it for a long time lol. This wasn’t very helpful – you tended to point out what you were wearing instead of actually highlighting the community and/or the obvious “rules” of concert wear. Thanks for writing though! I’m sorry you didnt find it helpful. There really arent any rules to concert wear though, so my point was to give examles of what I wore as an idea to people who have never been before. For feedback, what other information would you have liked to see? Something like a breakdown of what people besides me normally wear? I am always open to ideas! Hello there! Just found your blog! Very useful informations :)) I want to travel to Tokyo for the second time this year and this time I really wan to visit a Johnny’s concert. So here is my question: Which season is the best for it? When are the concert schedules, for example of KAT-TUN and HeySayJump? A friend of mine said its mostly in August and another friend said that spring time would be best for concerts (the period between April and May). What do you think? Hi! Thanks so much for reading! For times for concerts, it depends from group to group. Some groups are constantly touring while others have set times they tour and others are very random when they tour. It can be hit or miss on when you come. 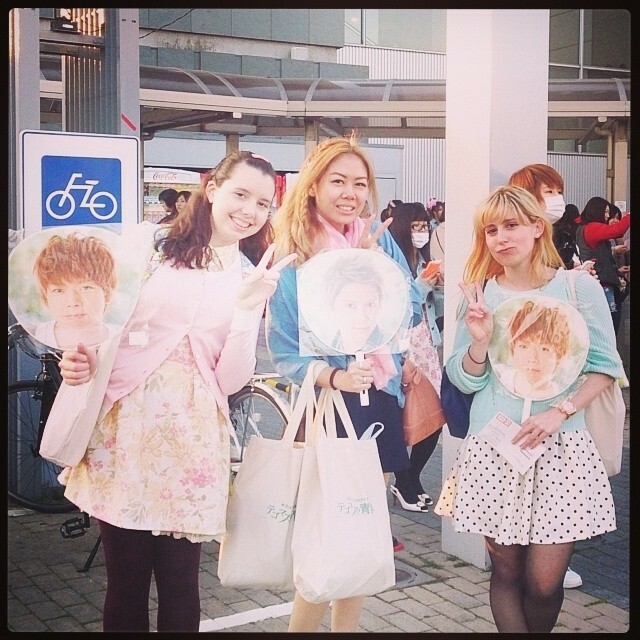 KJ8 tours in fall/ winter mostly while Arashi does fall/ winter and arafes in the summer. NEWS will do a spring concert this year but dates havent been announced. HSJ tours a lot so it shouldnt be hard to see them. KAT-TUN is random, but probably summer I think. Other groups I am not too sure about.